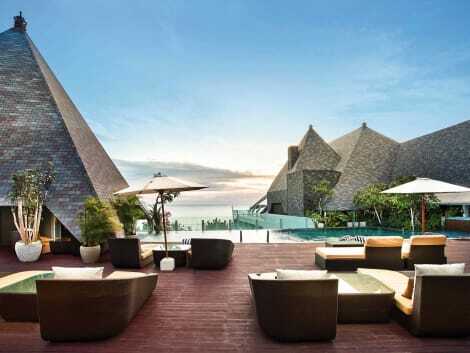 Located in Kuta (Raya Kuta), Airy Kuta Bakung Sari Gang Kresek 7 Bali is within a 15-minute walk of Waterbom Bali and Kuta Square. 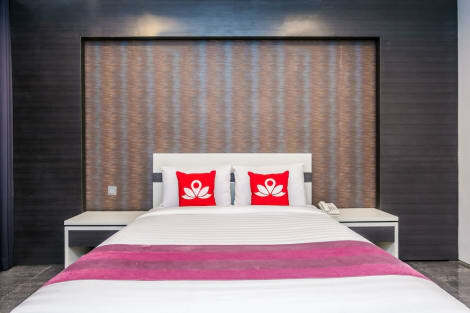 This hotel is 1 mi (1.6 km) from Beachwalk Shopping Center and 4.6 mi (7.5 km) from Eat Street. Enjoy local and international cuisine at Padma Restaurant, a restaurant where you can take in the garden view, or stay in and take advantage of the room service (during limited hours). Relax with a refreshing drink from the poolside bar or one of the 2 bars/lounges. Buffet breakfasts are available daily from 7 AM to 10:30 AM for a fee. Relax at the full-service spa, where you can enjoy massages, body treatments, and facials. If you're looking for recreational opportunities, you'll find an outdoor pool and a fitness center. This hotel also features complimentary wireless Internet access, babysitting/childcare (surcharge), and shopping on site. Grab a bite to eat at the Lagenda Restaurant, a restaurant where you can take in the pool view, or stay in and take advantage of 24-hour room service. Relax with your favorite drink at the bar/lounge or the poolside bar. Buffet breakfasts are available for a fee. Part of the MyResorts program featuring exclusive experiences for Le Club AccorHotels members. Ideal for family vacations, the hotel has 159 marine themed rooms related to surfing, fishing and seafaring. Our Waves Restaurant, rooftop pool, and Riva Bar & Restaurant -- with its breathtaking ocean view -- luxuriously convey the sophistication of a luxury cruise ship. Furthermore, our wellness facilities, Aqua Spa and H2O fitness, will keep you refreshed before you begin exploring Bali. Make yourself at home in one of the 250 individually decorated guestrooms, featuring minibars and LED televisions. Rooms have private balconies. Complimentary wireless Internet access keeps you connected, and cable programming is available for your entertainment. Private bathrooms with separate bathtubs and showers feature complimentary toiletries and hair dryers. With a stay at Bali Garden Beach Resort in Kuta (Kartika Plaza), you'll be a 2-minute drive from Kuta Beach and 8 minutes from Beachwalk Shopping Center. 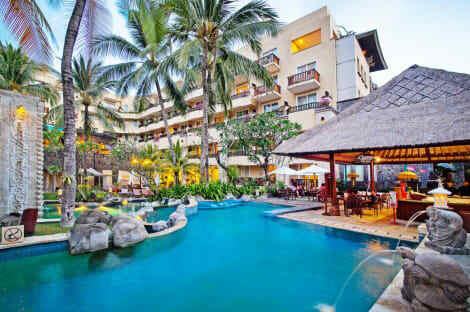 This 4-star hotel is 1.6 mi (2.6 km) from Legian Beach and 2.5 mi (4.1 km) from Double Six Beach. 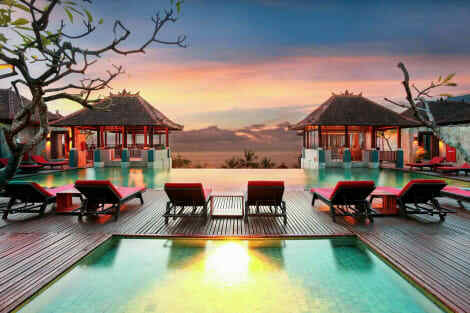 lastminute.com has a fantastic range of hotels in Kuta, with everything from cheap hotels to luxurious five star accommodation available. We like to live up to our last minute name so remember you can book any one of our excellent Kuta hotels up until midnight and stay the same night.